If you can’t do it big – then do it close. After a lifetime of trying to come up with some sort of artistic philosophy, the past week presented me with this vital truth ready wrapped. Should I get the chance to be a movie director, I now have a plan – or at least something to say in my oscar acceptance speech. I got back from Venice in the early hours of Friday morning. Although exhausted I was still floating on water and the magical performance by “La Musica A Palazzo“ of Grand Opera love duets in the splendid setting of the Palazzo Barbarigio-Minotto. In essence the rooms of the palazzo become the stage and the audience gets to share the love up close. Well, how else would you want it? I was in Venice following in the footsteps of Spencer and Shannon from Passion Patrol 2. As I crank up the keyboard on Passion Patrol 3 I wanted to recapture the mood. I’m still not sure where our hot cop lovers will find the romance button. It’s possible it could be Swansea. So, with Venice just a few ripples behind my Ryan Air bus ride, I was at the Theatre Royal in Winchester, Hampshire, UK. 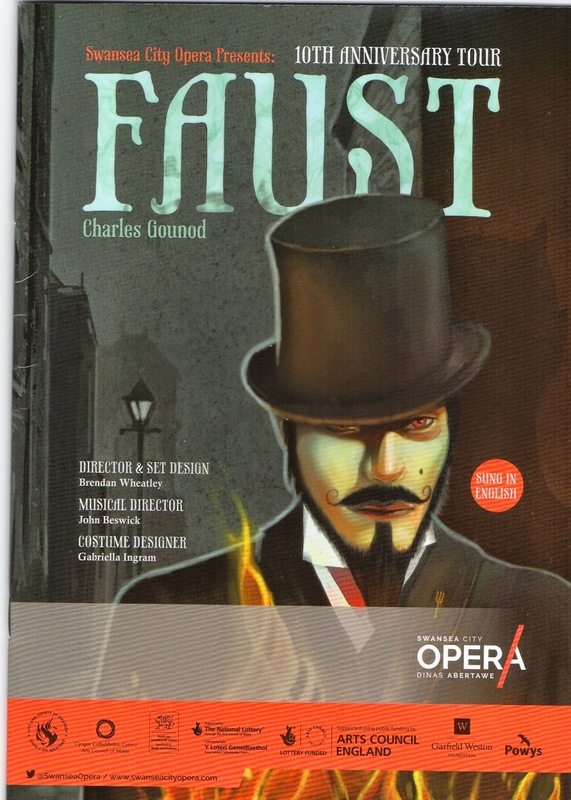 The occasion was the performance of “Faust” by the Swansea City Opera. Wow! Wow! what a show it was. Of course there are famous massive productions by Covent Garden, New York Met’ and the Opéra National de Paris. played the part of Valentin, could inspire a handsome hero in my next Passion Patrol novel. It’s pure talent to be a hunk when you’re on the floor dying and singing. At the end I was up on my feet. Two days later I’m still alive with the buzz of it. The show is out on tour now. Click here for dates and venues. Go on – do whatever you have to do to get a seat, even if it means doing a deal with the devil. The pleasure will be worth it. Emma thinx: If the devil is buying you, keep things familiar. Offer him a pay day loan. This entry was posted in Charles Gounod, Dinas Abertawe, Faust, La Musica A Palazzo, Mephistopheles, Opera, Swansea City Opera, Theatre Royal Winchester by emmacalin. Bookmark the permalink.